New publication: Pleasurable and Intersubjectively Embodied Experiences of Electronic Dance Music. Solberg, R. T., & Jensenius, A. R. (2017). Pleasurable and Intersubjectively Embodied Experiences of Electronic Dance Music. Empirical Musicology Review, 11(3–4), 301–318. How do dancers engage with electronic dance music (EDM) when dancing? This paper reports on an empirical study of dancers’ pleasurable engagement with three structural properties of EDM: (1) breakdown, (2) build-up, and (3) drop. Sixteen participants danced to a DJ mix in a club-like environment, and the group’s bodily activity was recorded with an infrared, marker-based motion capture system. After they danced, the subjects filled out questionnaires about the pleasure they experienced and their relative desire to move while dancing. Subsequent analyses revealed associations between the group’s quantity of motion and self-reported experiences of pleasure. Associations were also found between certain sonic features and dynamic changes in the dancers’ movements. Pronounced changes occurred in the group’s quantity of motion during the breakdown, build-up, and drop sections, suggesting a high level of synchronization between the group and the structural properties of the music. The questionnaire confirmed this intersubjective agreement: participants perceived the musical passages consistently and marked the build-up and drop as particularly pleasurable and motivational in terms of dancing. 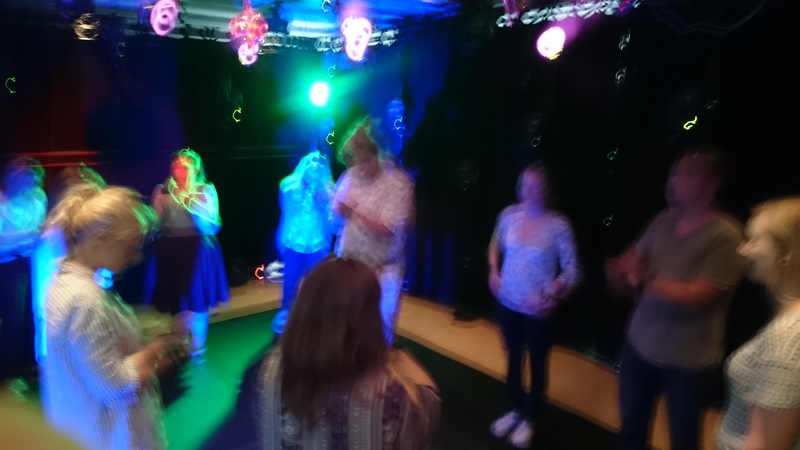 Self-reports demonstrated that the presence and activity of other participants were also important in the shaping of one’s own experience, thus supporting the idea of clubbing as an intersubjectively embodied experience. 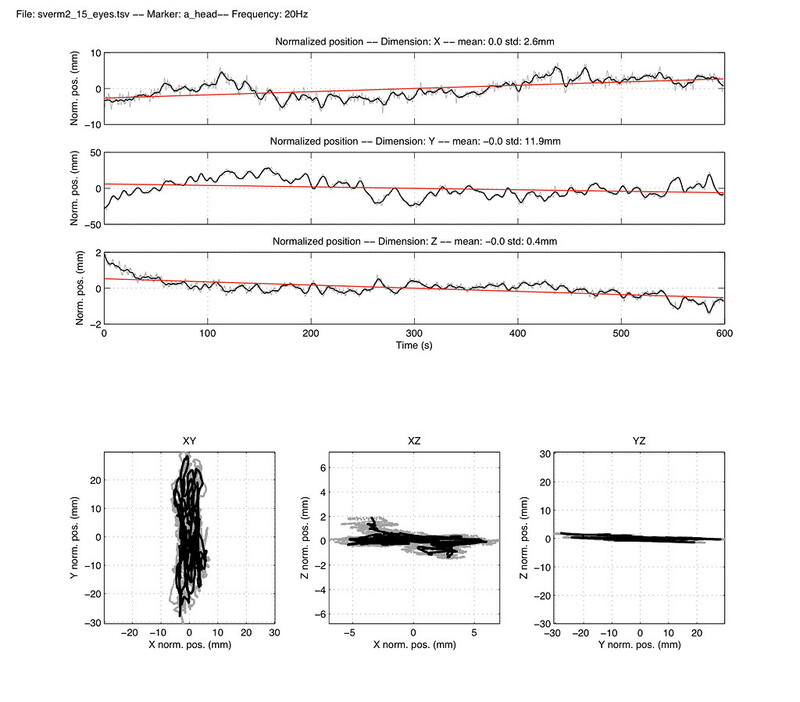 My colleague Ragnhild Torvanger Solberg and I presented a paper at the Sound and Music Computing conference in Hamburg last week called: “Optical or Inertial? 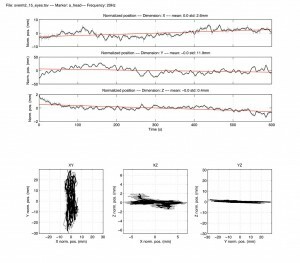 Evaluation of Two Motion Capture Systems for Studies of Dancing to Electronic Dance Music“. This is a methodological paper, trying to summarize our experiences with using our Qualisys motion capture system for group dance studies. We have two other papers in the pipeline that describes the actual data from the experiments in question. The happy story in the SMC paper is that it is, indeed, possible to get good tracking with multiple people, although it requires quite some fine tuning of the system. Abstract: What type of motion capture system is best suited for studying dancing to electronic dance music? The paper discusses positive and negative sides of using camera-based and sensor-based motion tracking systems for group studies of dancers. This is exemplified through experiments with a Qualisys infrared motion capture system being used alongside a set of small inertial trackers from Axivity and regular video recordings. The conclusion is that it is possible to fine-tune an infrared tracking system to work satisfactory for group studies of complex body motion in a “club-like” environment. For ecological studies in a real club setting, however, inertial tracking is the most scalable and flexible solution. Citation: Solberg, R. T., & Jensenius, Alexander Refsum, A. R. (2016). Optical or Inertial? 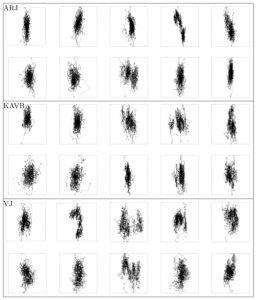 Evaluation of Two Motion Capture Systems for Studies of Dancing to Electronic Dance Music. In Proceedings of the Sound and Music Computing Conference (pp. 469–474). Hamburg. 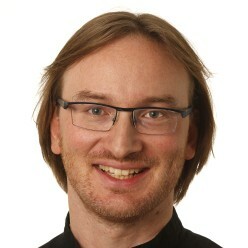 I am happy to announce that I have received funding from the Norwegian Research Council’s program Young Research Talents for the project: MICRO – Human Bodily Micromotion in Music Perception and Interaction. This is a 4-year long project and I will be looking for both a PhD and postdoctoral fellow to join the team. The call will be out later this year, but please do not hesitate to contact me right if you are interested. How and why does music make us move? This has been a highly discussed topic in musicology and music psychology in recent years. Most of the research in the field has so far focused on fairly large-scale motion to music, such as dancing. This project will investigate how music influences what we may call micromotion, such as the tiny motion observed when people try to stand still. Even though such micromotion is barely visible, it can be measured in a motion capture laboratory. This makes it possible to carry out studies of the effects of music on micromotion. The project is based on the most recent research in musicology, psychology and neuroscience, will build on findings in the Sverm project. Most of the research will be carried out in the music and motion lab at the Department of Musicology, and will be affiliated with the fourMs group. Let me know if you are interested in joining us! Together with several colleagues, and with great practical and economic support from the University of Oslo, I am happy to announce that we will soon kick off our first free online course (a so-called MOOC) called Music Moves. Music is movement. A bold statement, but one that we will explore together in this free online course. Together we will study music through different types of body movement. This includes everything from the sound-producing keyboard actions of a pianist to the energetic dance moves in a club. You will learn about the theoretical foundations for what we call embodied music cognition and why body movement is crucial for how we experience the emotional moods in music. We will also explore different research methods used at universities and conservatories. These include advanced motion capture systems and sound analysis methods. You will be guided by a group of music researchers from the University of Oslo, with musical examples from four professional musicians. The course is rich in high-quality text, images, video, audio and interactive elements. Join us to learn more about terms such as entrainment and musical metaphors, and why it is difficult to sit still when you experience a good groove. This course is open to everyone. No technical knowledge of music or dance is required. You can buy a Statement of Participation for this course — a personalised certificate in both digital and printed formats — to show that you’ve taken part. Use the hashtag #FLmusicmoves to join and contribute to social media conversations about this course. I am happy to announce a new publication titled How still is still? exploring human standstill for artistic applications (PDF of preprint), published in the International Journal of Arts and Technology. The paper is based on the Sverm project, and was written and accepted two years ago. Sometimes academic publishing takes absurdly long, which this is an example of, but I am happy that the publication is finally out in the wild. We present the results of a series of observation studies of ourselves standing still on the floor for 10 minutes at a time. The aim has been to understand more about our own standstill, and to develop a heightened sensitivity for micromovements and how they can be used in music and dance performance. 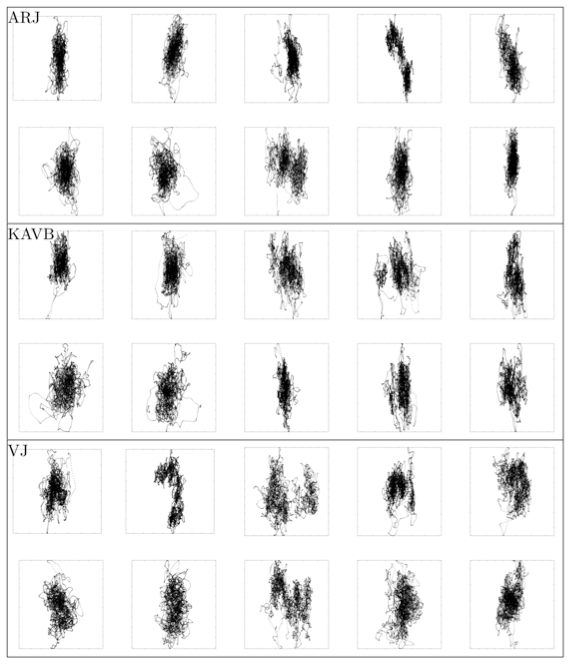 The quantity of motion, calculated from motion capture data of a head marker, reveals remarkably similar results for each person, and also between persons. The best results were obtained with the feet at the width of the shoulders, locked knees, and eyes open. No correlation was found between different types of mental strategies employed and the quantity of motion of the head marker, but we still believe that different mental strategies have an important subjective and communicative impact. The findings will be used in the development of a stage performance focused on micromovements. Jensenius, A. R., Bjerkestrand, K. A. V., and Johnson, V. (2014). How still is still? exploring human standstill for artistic applications. International Journal of Arts and Technology, 7(2/3):207–222.